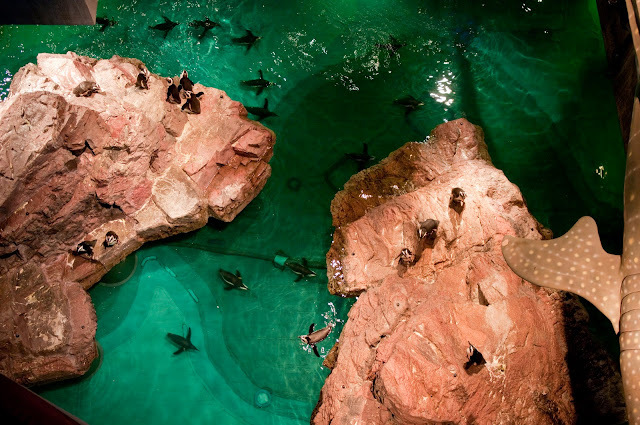 The penguins stay on exhibit overnight and sleep right on the islands. They can even sleep while floating in the water. 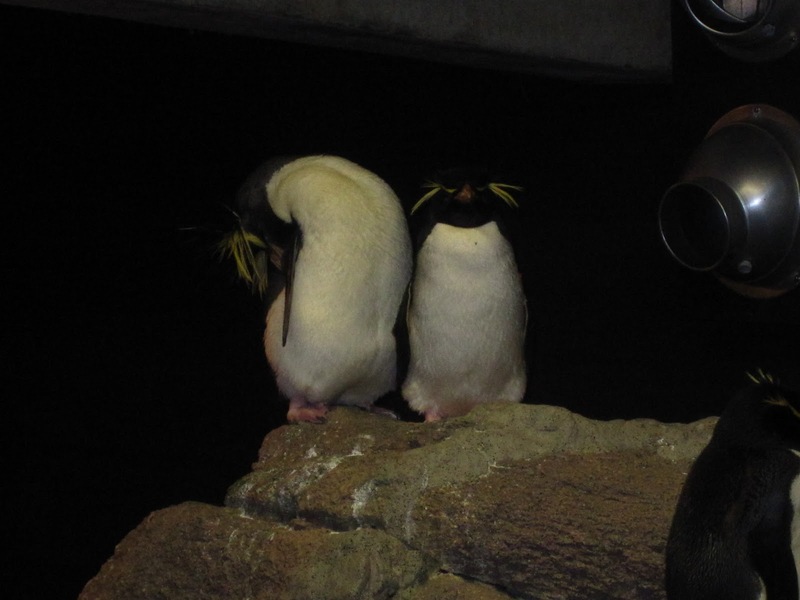 During a visit to the Aquarium you might catch a glimpse of the penguins taking naps during the day. They can sleep either lying down or standing up on the rocks and sometimes when they are standing up they will tuck the beak under the wings. That’s not a headless penguin; he just has his head tucked behind his wing.